Plum's Photo Hunt is the perfect app for the nature lover and little explorer in your home. With a variety of photo missions and a field journal to add notes, kids are going to love this app. 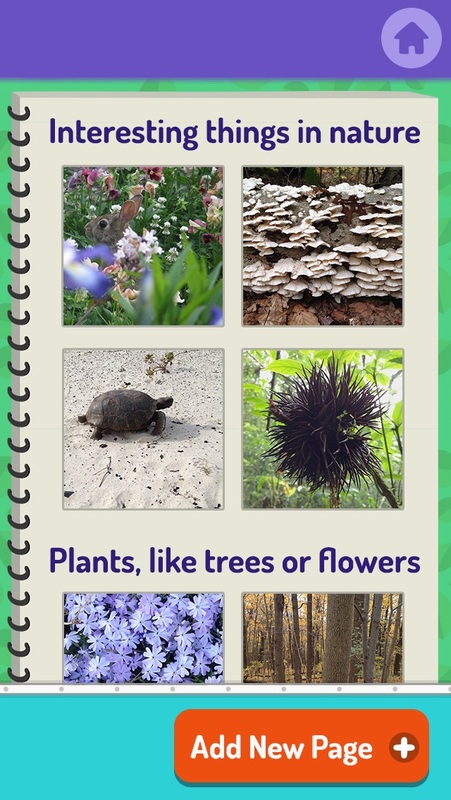 Plum’s Photo Hunt is a simple, yet fun app that encourages children to get outside and explore nature by taking photographs and notes on what they observe. With a variety of categories to explore including, clouds, water, animal life, plants, etc. this is a great app to keep children engaged and active especially during the summer months. This is a great app that the entire family can enjoy. The developers have done a great job making Plum’s Photo Hunt easy to use for children of all ages. 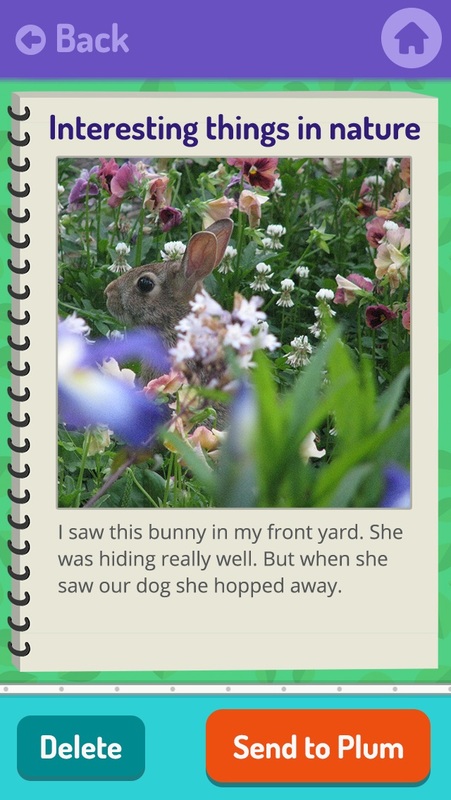 With three simple activities, children can find a variety of interesting items, animals, and plants out in nature and log them in their field journal or add a special animated character in the Photobomb section very easily. With fun illustrations and characters within the app, Plum’s Photo Hunt is of good quality for what it does. While children aren’t learning specific facts about what they find from the app itself, they are putting their observation skills to work as they explore. It also encourages children to get outdoors and inspires them to ask questions about the things they find. As children find various plants, clouds, and animals out in nature and log their findings, they are also given the opportunity to learn lots of great information in a hands on way. 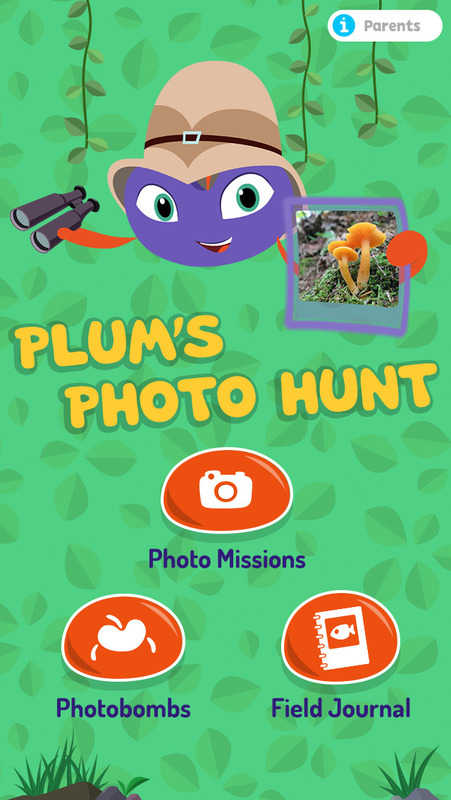 Plum’s Photo Hunt is designed to get children outdoors and exploring their surroundings by providing specific photo missions to complete. 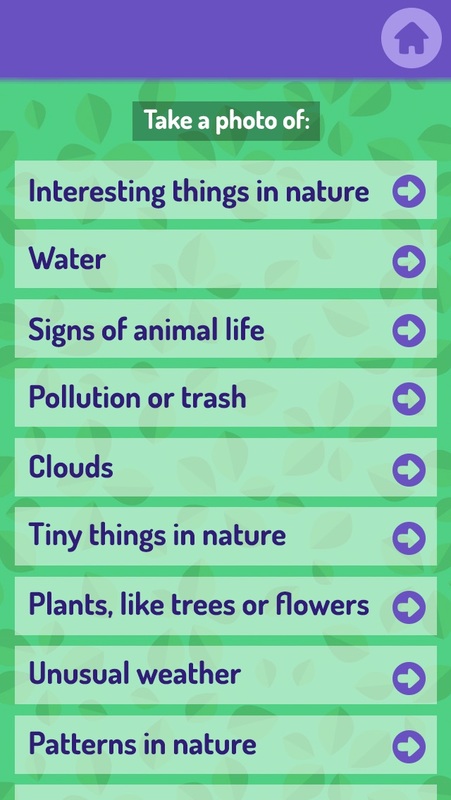 There are a variety of categories including, water, clouds, animal life, plants, etc. for players to find and document. There is also a field journal that allows children to include their notes on what they have found and any additional observations they may have. For families that love the outdoors and love exploring nature, this app can be lots of fun. Children are also really going to enjoy the Photobomb section that allows them to take pictures with fun characters included in the background. To add a bit more entertainment value, it would be nice to have a reward system or an additional activity for children to enjoy along with the photo hunt activity. Parents will certainly appreciate the price of this app as it is completely free. 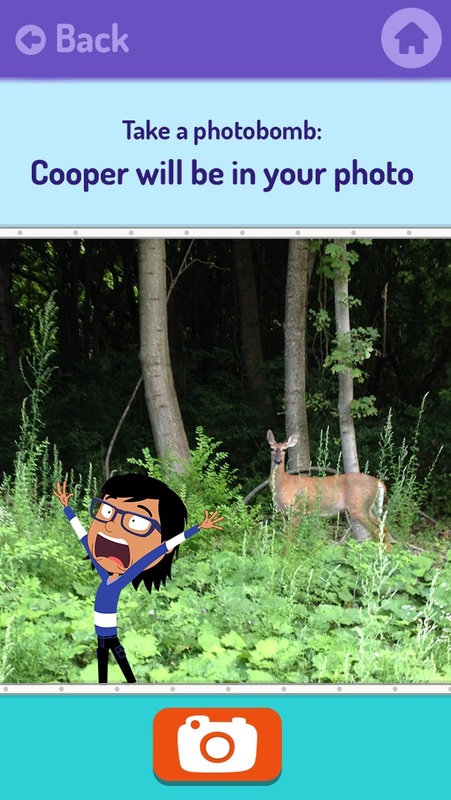 With lots of things to explore in nature, and fun photobombs they can enjoy, this is an app that is likely going to be a favorite for the entire family. The developers have done a great job of making this app safe and easy to use for children of all ages. With simple tap and touch functioning and the ability to type observation notes the user interface is quite intuitive and easy for kids to enjoy.